These entries are written with a tongue in cheek spirit. I am no expert in online first person shooters and I get killed a lot. I am not criticizing, just trying to entice a healthy discussion. All screenshots in this entry from a multiplayer server I joined, got killed enough to be sent into the bleachers of shame and spectating. All online nicknames have been covered to protect the innocent. There is a guy under that bush, and he dispatched 3 unsuspecting human players. 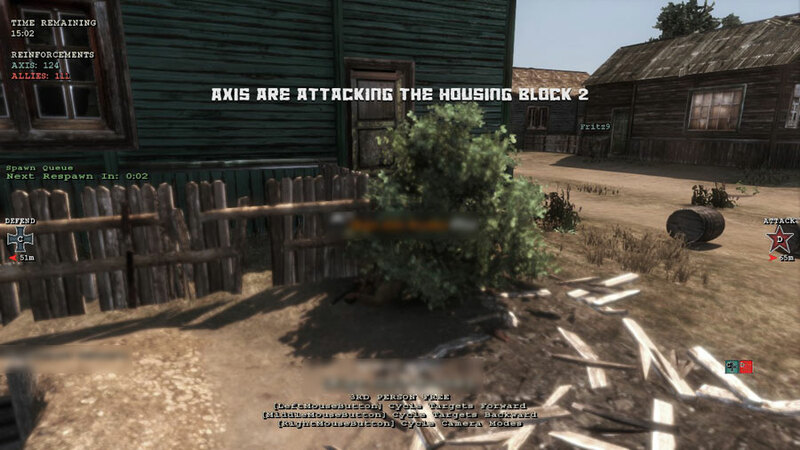 Note the bot (Fritz09, computer controlled) German soldier roaming down the street, totally oblivious to the tactical bush. In the virtual multiplayer world of gun and run, the prone position is pretty much disliked like high pings or aiming lags. The closer to mother earth, the least your ability to aim to your flanks or rear. 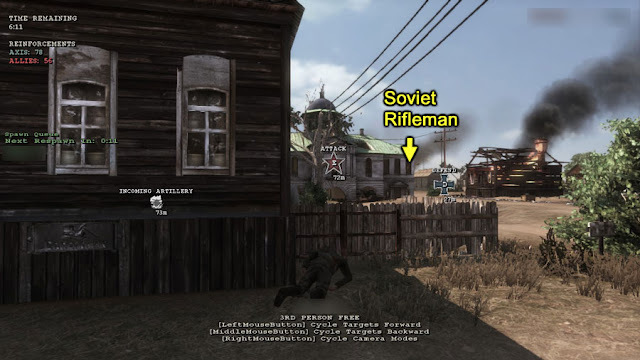 This human Soviet submachine gunner below used the prone position but placed himself where it was impossible to be silhouetted against the background. Shadows and clutter are your friend. 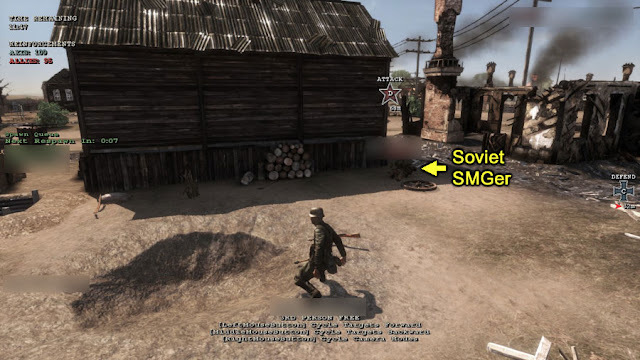 This poor German soldier didn't notice the Soviet submachine gunner lying prone in the shadows of that house. Seconds later, the inevitable death. # 3 - You hear the shots, but are you listening? Like any other form of human exchange, firefights have a language. I'm not sure about it's grammar, but its words are easy to understand. The most basic "march to the sound of the guns" is perhaps the better understood use of information based on just the bangs in the distance. The frequency of shooting, the type of guns, the use (or not) of grenades are always telling you something. However, there are more subtle words that cross the battlefield at subsonic speeds: the movement and subsequent success/demise of your fellow soldiers. Two human players enter a destroyed house and take cover in the (only thing left standing) chimney stack. The one in the left falls to Soviet rifle fire from the background. The one in the right notices this and takes cover immediately. Unfortunately, the surviving human player decides to peek through the same spot as his fellow fallen soldier. Chances are that whoever killed your friend will have a great field of fire on his position, so avoid it. This human player made perfect use of cover. He peeked at corners taking very small new bites of field of fire at a time. A great use of cover. This human player scans the terrain ahead before moving out. The same human player taking out Soviet players attempting to cross the street. Notice how he can manage his field of fire by moving in and out the house's wall. This was a great shootout. The same human player mastered the use of cover and positioned himself so he would see only the rightmost window of the green-roofed building (arrow). Unfortunately his submachine pistol was no match for the Soviet rifle. 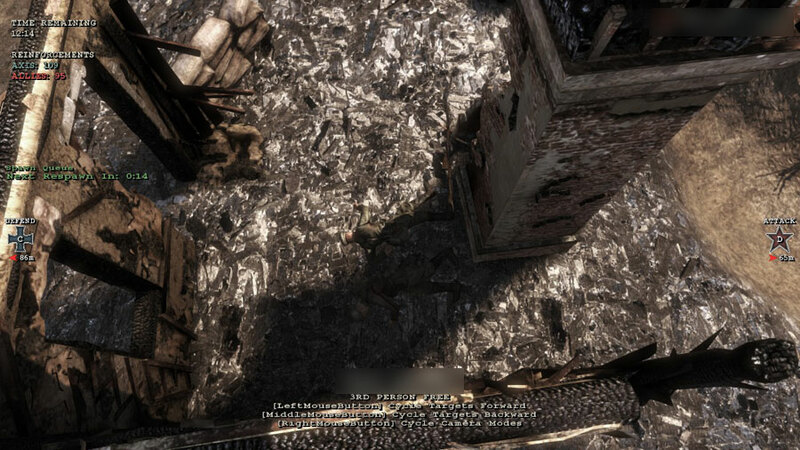 I agree that RO2 is a bit too frantic and not methodical enough to deliver a deep tactical experience. I still enjoy it, it's fun, but there certainly is a lot of lone wolfing going on. If you haven't tried it already, I would suggest downloading the old RO for $5 and installing the Darkest Hour mod. That's the best tactical FPS experience I've had to date and I've been playing that over RO2 lately. 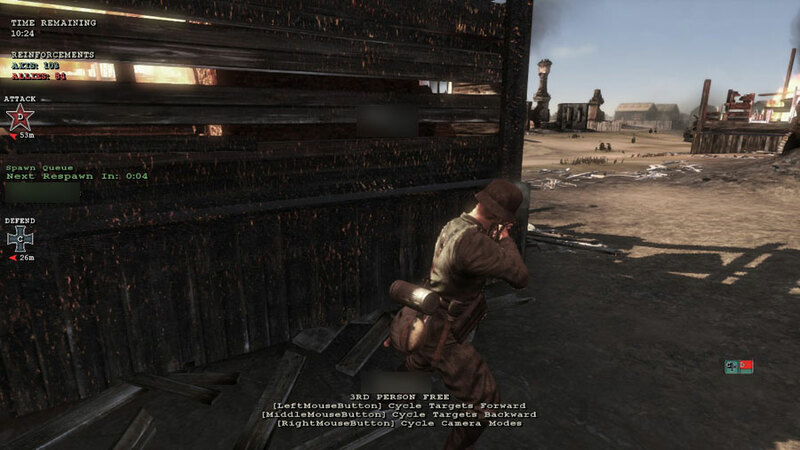 RO2 seems like it was a rushed product. They didnt develop a squad or team system well enough to support a game that follows through with what their fan base wants. The result is what most tactical-game reviewers, including JC, are saying: this is mostly a lone-wolf game. 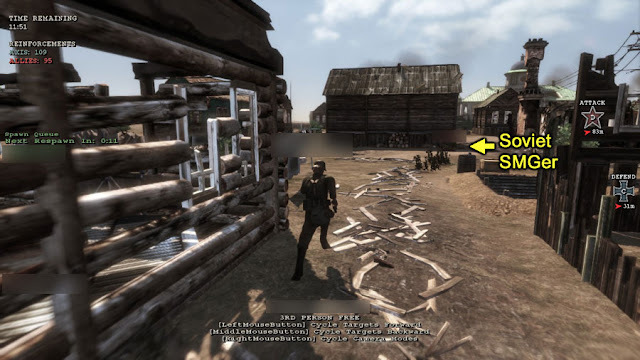 Lets not forget that the release of RO2 was plagued with some a few nasty little bugs that quickly dropped a large portion of the fan base for other releases. Dog Company ran a server for RO2 for a short while--Running the server without punkbuster invited in aimbotters and running with it lagged the server into the depths of despair. It's a very good game, the command rose works beautifully, and the weapons work wonderfully. Whenever we get a team of guys playing, we do our best to work together, though the respawn on squad leader function is still buggy. I just wish the RO2 community had been as serious as the Arma 2 community and had some good team versus team games. Alas, the gaming industry would rather give us MW3 quickscoping competitions. It's a true pity, because the 3D maps are really outstanding. I may have to go RO1, I guess? 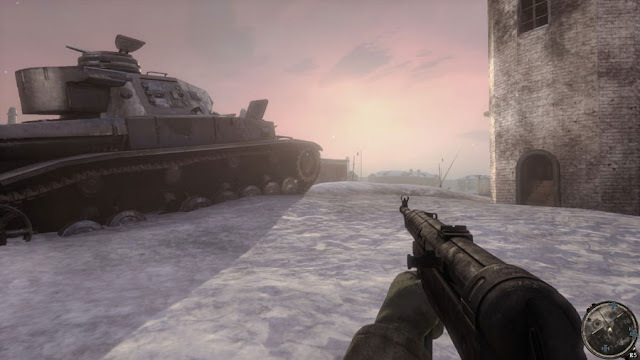 As an long-time RO player using exclusively bolt rifles I dont't find the cramped and hectic maps of RO2 very much fun. The Run-and-Gun factor is high. 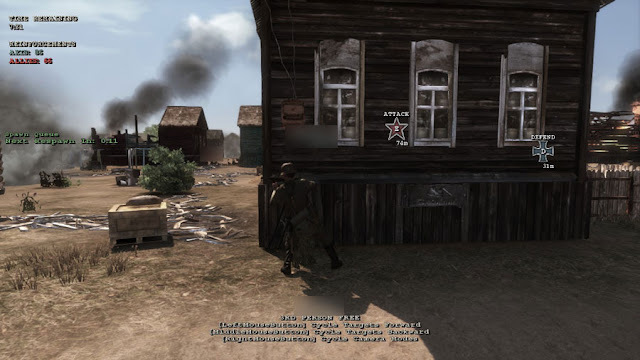 This map, Spartanovka, is one of the few that fits a rifleman playstyle more. Some great observerations in this post. I do that corner-of-house think all the time here. Also when defending the windows of the house/church are great positions - but stay at an angle! Sadly most defenders like to just ignore the objective and run somewhere to camp the flanks which does ****all for the team. 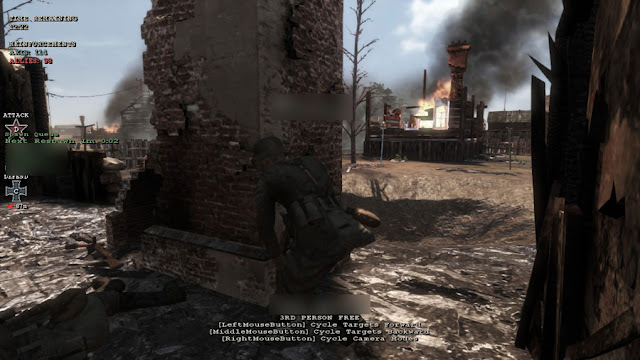 JC; try Darkest Hour (RO1 mod) for some really good teamwork (at times). Especially the 29th ID servers. Some seemingly good news today. Apparently, the developers have listened to the player's opinions about wanting to make the gameplay of RO2 more like how RO1 was, so expect some changes to that effect in the future. Lone wolf will never win a battle. Teamwork is still needed.